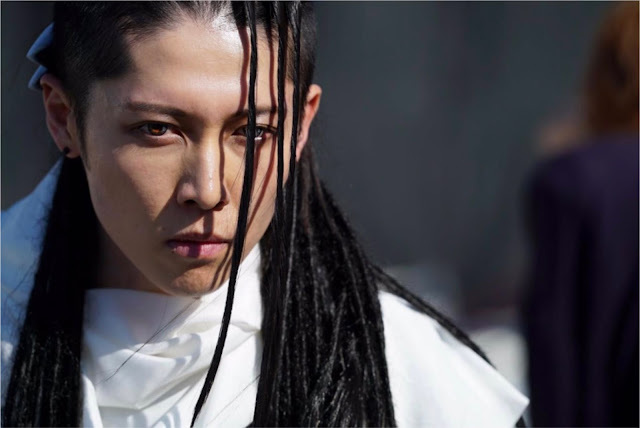 MIYAVI Confirmed to Play Byakuya in BLEACH's Live-Action Movie! | VKH Press – J-Rock & Visual Kei Coverage Worldwide! Home / MIYAVI / News / Slider / MIYAVI Confirmed to Play Byakuya in BLEACH's Live-Action Movie! MIYAVI Confirmed to Play Byakuya in BLEACH's Live-Action Movie! For those of you who don't know Tite Kubo's classic BLEACH, now is a pretty good time to get into it! The main character is a young delinquent named Ichigo Kurosaki. He's gifted with the ability to see spirits, but this gift comes with several vices as his battle with a Hollow (a dark spirit) forces him to become Soul Reaper (one who ushers lost souls into the afterlife.) The series follows his journey in defending the living world from these monstrous creatures. 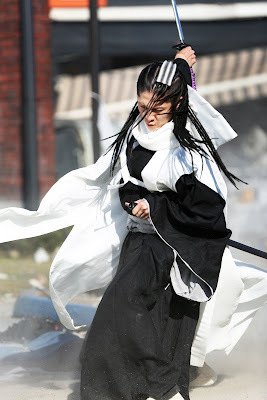 What do you think of MIYAVI's look as Byakuya? Let us know in the comments! Update ancient movies with showbox software. The showbox apk application easily captures user trust through showboxvpn.com application development company to bring the largest United States and UK Kingdoms today!